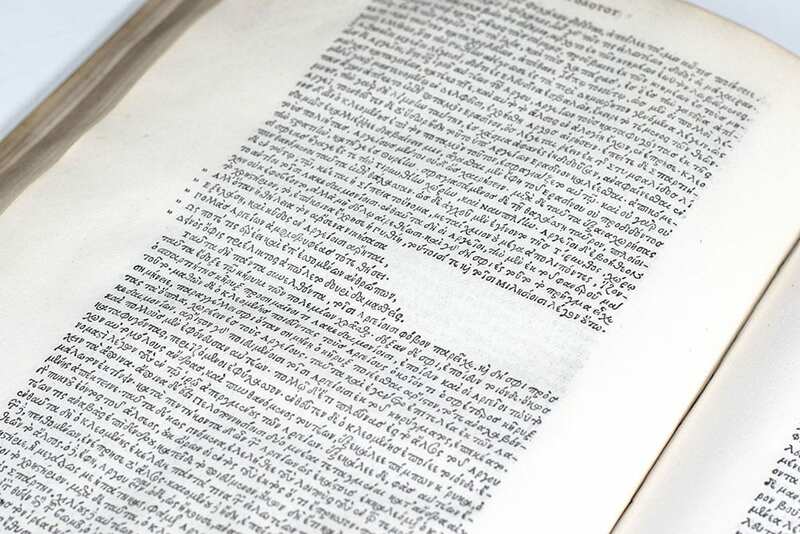 Herodotus; Edited by Aldus Manutius. 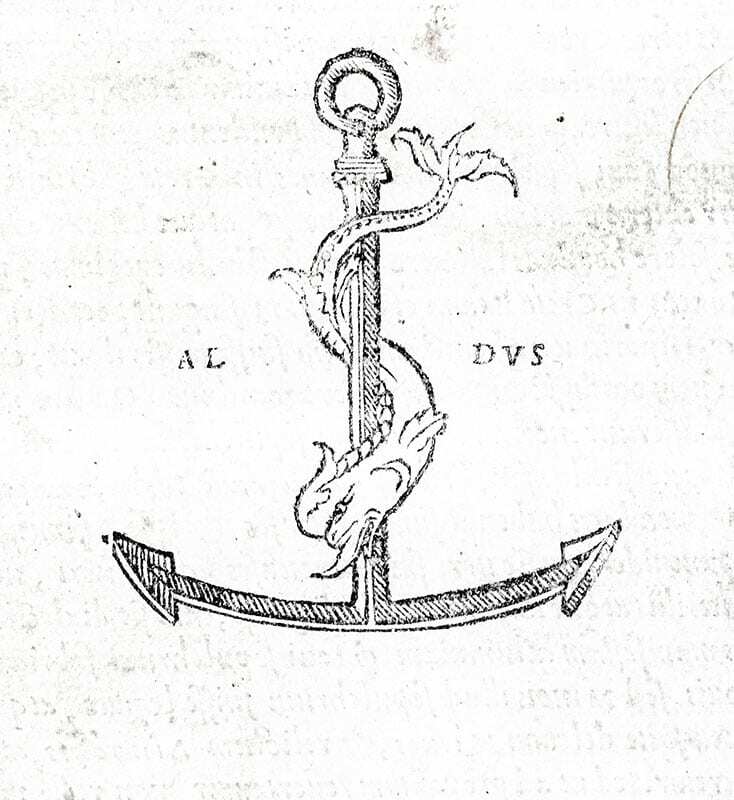 Venice: Aldus Manutius, September, 1502. Rare first edition of Herodotus‘ history of the Persian Wars, one of the most important texts edited by the great scholar-printer-publisher. Folio, bound in contemporary vellum, woodcut title in Greek and Roman letter, verso with dedication in Latin, text in Greek letter throughout with spaces for capital letters, woodcut device on title and last page. Aldus claims in the dedication that he corrected the text from multiple exemplars, one of the few instances where such a claim by him is justified and can be verified. He was the first to have access to the ‘Florentine’ codices, where Valla had used the so-called Roman family of manuscripts for his translation. The printer’s copy was discovered in Nuremberg by Brigitte Mondrain in 1993 (Scriptorium 49 , pp. 263-273). 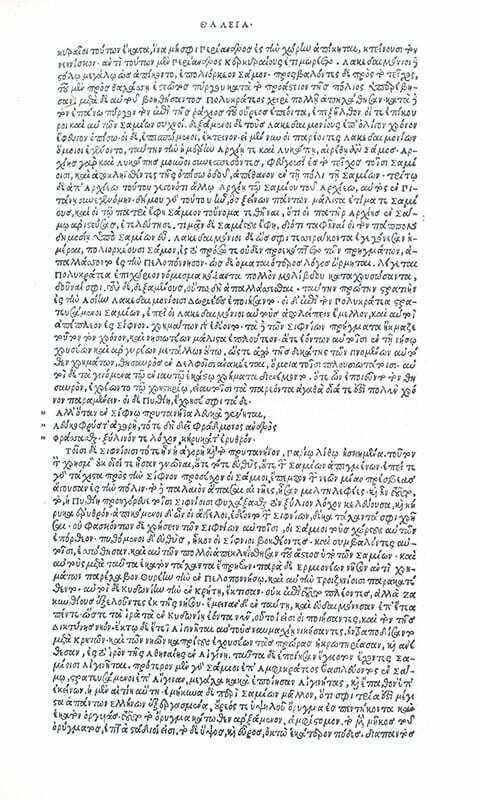 The History was designed to match the Aldine Thucydides of four months earlier: they share a paper stock, all types and the number of lines per page. Ahmanson-Murphy 50; Isaac 12782; Laurenziana 64; Renouard, Alde 35:8; Sansoviniana 67. In excellent condition with light rubbing and wear, bookplates to the pastedown, some light toning to the text, occasional Greek and Latin annotations in a c.17th-century hand, small repairs to the final four leaves. An exceptional example of this landmark work, rare and desirable in contemporary vellum. Herodotus is generally considered ‘the father of history’. 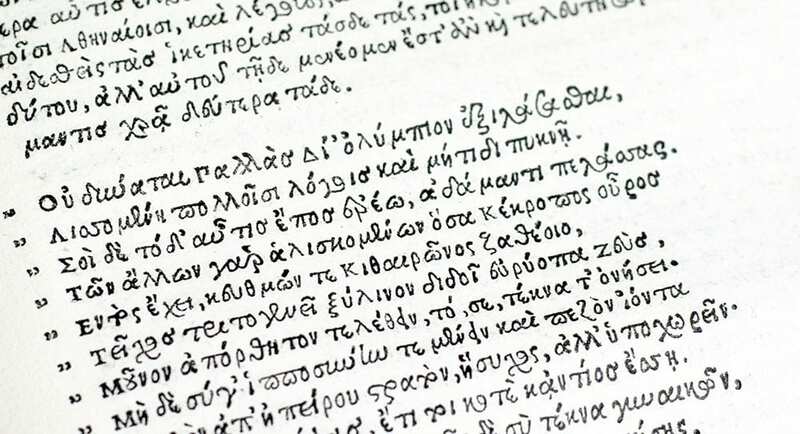 Departing from the Homeric chronicle, ‘[h]e was the first to collect his materials systematically, to test their accuracy as far as he could, and arrange his story in such a way as to appeal to, as well as inform, his readers’ (PMM). His main theme, which is also the subject of the present work, was the struggle between Persia and Greece. 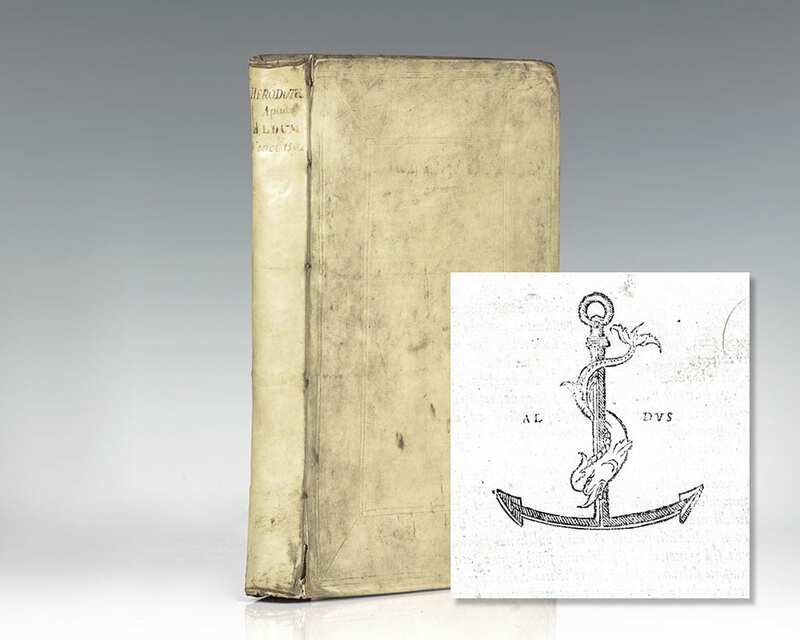 The present publication was one of the first Greek works produced by the humanist printer Aldus Manutius, who had opened his publishing house in Venice in the same year. Aldus claims in the dedication that he corrected the text from multiple exemplars, and this is one of the few instances where such a claim by him is justified and can be verified. He was the first to have access to the 'Florentine' codices, where Valla had used the so-called Roman family of manuscripts for his translation. Adams H-394; PMM 41. Not only was it a monument of scholarship and typography, but through modern eyes, it is fascinating example of the 'information age' of the Renaissance. Indeed, it is a highly important example of humanistic interest in the ancient classics and the reinvigorating and dissemination of a manuscript through textual transmission. The Silent Language, The Hidden Dimension, Beyond Culture. First editions of each of the renowned anthropologists first three books. Octavo, 3 volumes. Each are fine in near fine to fine dust jackets. Each book is signed by Edward T. Hall. Also laid in is an email from the author’s wife regarding the signing of these volumes. An exceptional group. Murder City: The Bloody History of Chicago in the Twenties. First Edition. Octavo, black cloth with gilted titles to the spine. Fine in a fine dust jacket. Signed by Michael Lesy on the half title page.